For good reason, craft beers have stolen the beverage spotlight in North Carolina. Like healthy seeds in fertile soil, new breweries seem to sprout every month, offering original style and fantastic opportunities to be active before—or while—enjoying a cold beverage. But before beer mania hit refrigerator shelves around the Tar Heel state, the grapevine was spreading across the fields once occupied by tobacco and other crops. North Carolina is now home to more than 400 vineyards and 100 wineries, and it’s the only place in the world where every major type of grape is grown. As the days become cooler and night arrives a little earlier, a hearty glass of red might be the perfect post-hike alternative to the frosty brews of summer. And since grapes often like the same things as hikers—valleys, mountains, and beautiful scenery (we assume), it’s not hard to find a great place to sip a bit after a good walk in the woods through North Carolina wine country. Here are four beautiful wineries in, or very near, North Carolina that pair well with local hikes. The appropriately named Stone Mountain , a monadnock of sloping granite rising 600 feet from the surrounding hilly farmland, is the centerpiece of Stone Mountain State Park. For decades, friction climbers have been challenged by the exposed rock face and hikers have tramped to its precipice, catching views of rolling forests that extend for miles. Hard work and great rewards come early on the 4.5 mile Stone Mountain Loop Trail. A quick ascent from the Lower Trailhead parking area to the top of Stone leaves legs shaky. Resting hikers decorate the bare rock face like lizards sunning on a warm day, soaking in the stunning views along with some vitamin D. Just another mile or so down a more gentle descent off the backside of the peak, the huge, calendar worthy Stone Mountain Falls tumble some 200 feet from the rocks above. There are plenty of other trails in the park should you want to ramp up the mileage. Forty minutes south, Raffaldini Winery sits atop its own hill, overlooking land so pristine it’s been named a Certified Wildlife Habitat by the National Wildlife Federation. Acres of orderly grapevines are surrounded by forests of hardwood and pine, all framed by cool, distant mountains. 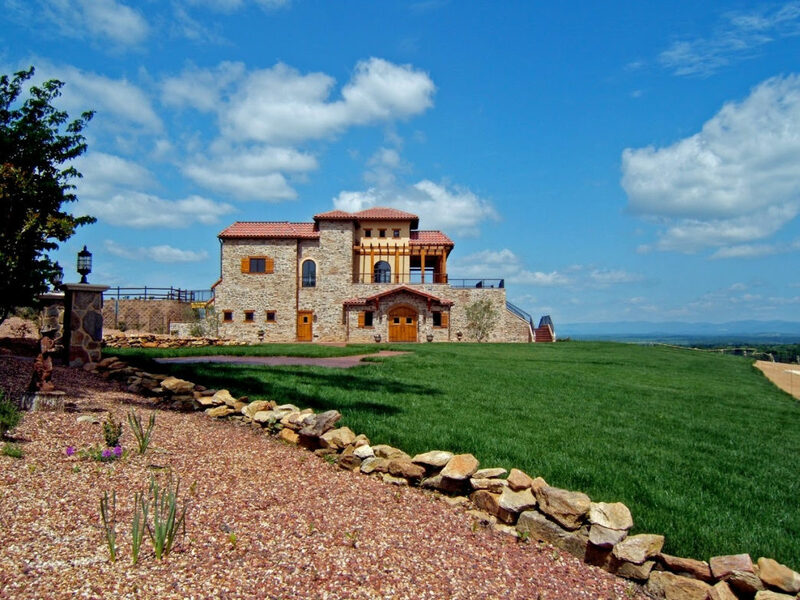 The huge, Tuscan inspired villa houses an impressive tasting room. The structure of pale stone fits perfectly into the landscape and offers sample space on its outdoor terrace for tasting and viewing. Interior design elements were carefully chosen to accent the Raffaldini family’s native home of Lombardy, Italy. Along with their award winning vintages, Raffaldini offers an array of foods from its deli case. Cheeses, meats, and sweets are perfect for a post-hike picnic on the terrace. The winery is open until 5 p.m. on Saturdays and Sundays so plan your timing accordingly. 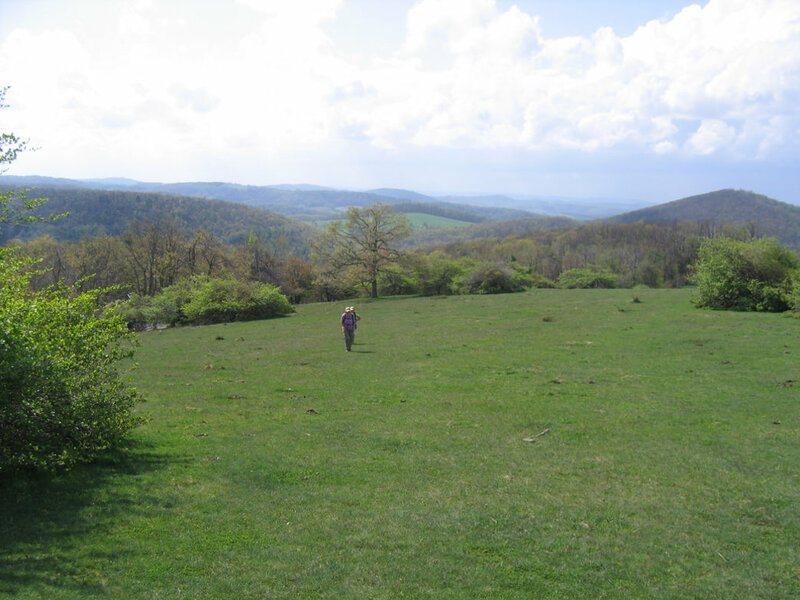 The 10.8-mile Rock Castle Gorge hike at the Rocky Knob Recreation area is a classic stop on the Blue Ridge Parkway. Sadly, severe wind and rain damage resulting from hurricane Joaquin has left all but 7 miles of the hike closed for the foreseeable future. The roughly 4 miles that are still open are spectacular, though. Running the ridge perpendicular to the parkway, the trail ambles over forested hills and wide-open balds, revealing vistas of rolling mountains fading off in the distance. To add some miles, try Fairy Stone State Park about 50 minutes east. Named for the naturally occurring, cross shaped “Fairy Stones,” the park holds more than a dozen miles of trails with varying difficulty. Dinner at Chateau Morrisette is an experience in and of itself. At 3,500 feet in altitude, the large but cozy dining room offers similar views to the parkway. Catching sunset from your table while choosing from the winery’s wide selection of varietals is a fantastic way to end the day. The restaurant features a variety of appetizers and main dishes like duck with scallion dumplings. For meat lovers, the filet is the main attraction. It’s an excellent cut and sized for even post-hike appetites. The winery has come a long way in their wines as well. The Black Dog—many aspects of the winery highlight their love of pups—is a rich, deep red blend perfectly paired with the filet. For a roughly 10-mile walk culminating at the top of the mountain, begin at the first parking area as you enter the park. 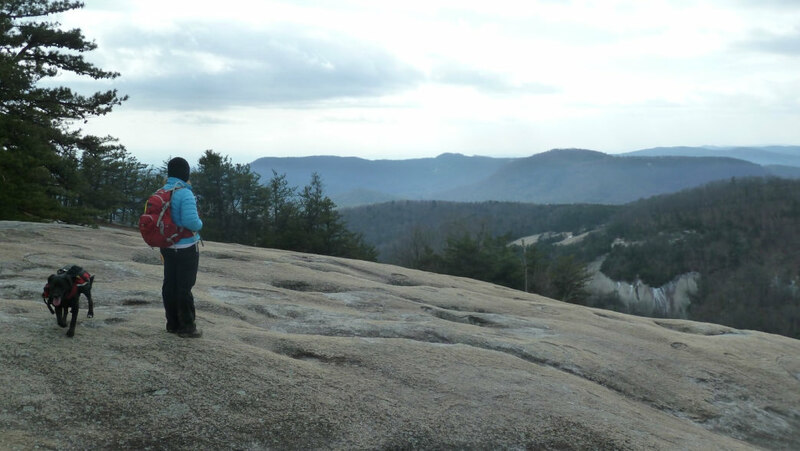 Walk the Long Loop bridle trail to the Sugar Mountain Trail. Take a left, loop around to the Morrow Mountain Trail and Morrow Mountain Loop, returning the way you came. 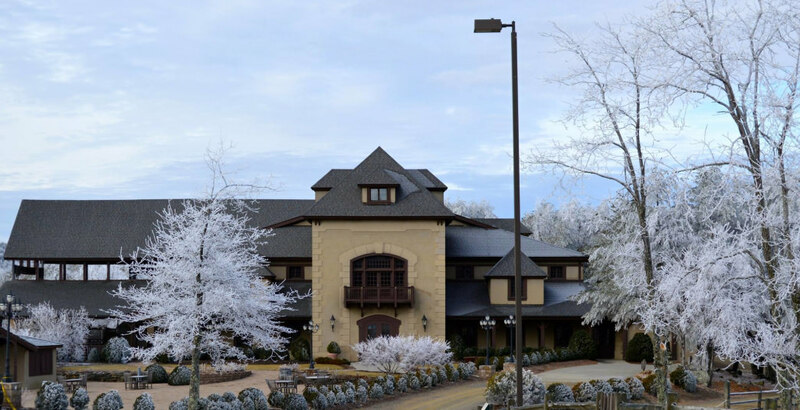 Tucked in the crook between Morrow Mountain State Park and the Uwharrie National Forest, the Stony Mountain Vineyard sits atop of its namesake mountain and takes full advantage of its high-rise surroundings. 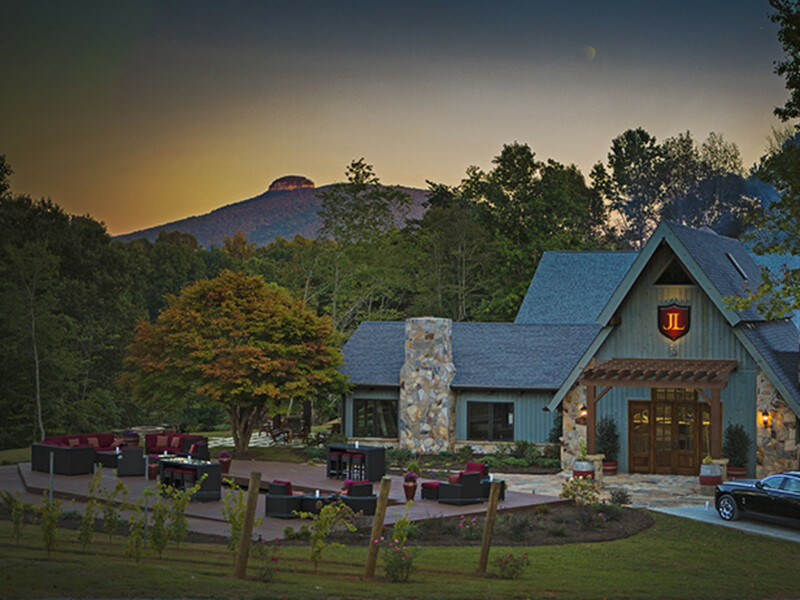 The lush green hills of Uwharrie serve as backdrop to the 1850s style farmhouse tasting room. Ken Furr, a 30-year military veteran turned winemaker, began planting shortly after leaving the service in 1995. The wine-making facility, a family-run business from the beginning, was built into Stony Mountain with the tasting room perched on top. After a storm took down several large white pine trees, the Furr family had them milled and they know serve as a new event space. Tastings include a wide variety of styles, something Furr believes is important as he hopes to reach wine lovers of all sorts. And with two porches overlooking the mountain surroundings, Stony Vineyards is a great post-hike stop for any hiker, no matter their tastes. Another monadnock, this one made of quartzite, has been an important waypoint of the central piedmont for centuries. 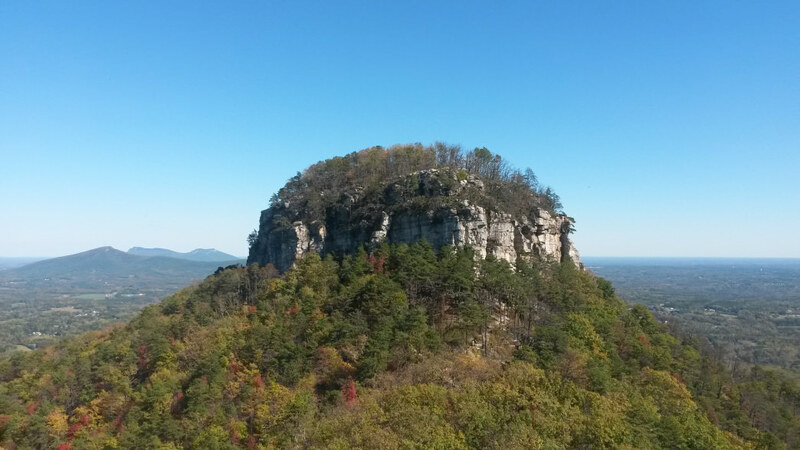 Named Jomeokee, or Great Guide, by the Native American Saura tribe, Pilot Mountain has been a landmark for travelers on the ground and in the air centuries. The jut of rock which stands atop Pilot, and makes it one of the most recognizable figures in the area, is officially called Big Pinnacle. The ring of vegetation on its top can make it look as though it’s wearing a crown. There is both an easy and a hard way to reach the peak. The easy way is simply to drive to the top. A large parking lot and restroom facilities sit at the foot of the short Jomeokee Trail that rings the base of Big Pinnacle. For maximum effort, and to take advantage of all the park’s beauty, start at the park office near the entrance. Walk up the three mile Grindstone trail to the top parking lot. After your stroll around the peak, connect to the 4.5-mile Mountain Trail, which ends where you started. For the best view of Pilot Mountain while not actually on Pilot Mountain, head 10 minutes up the road to Jolo Vineyards . 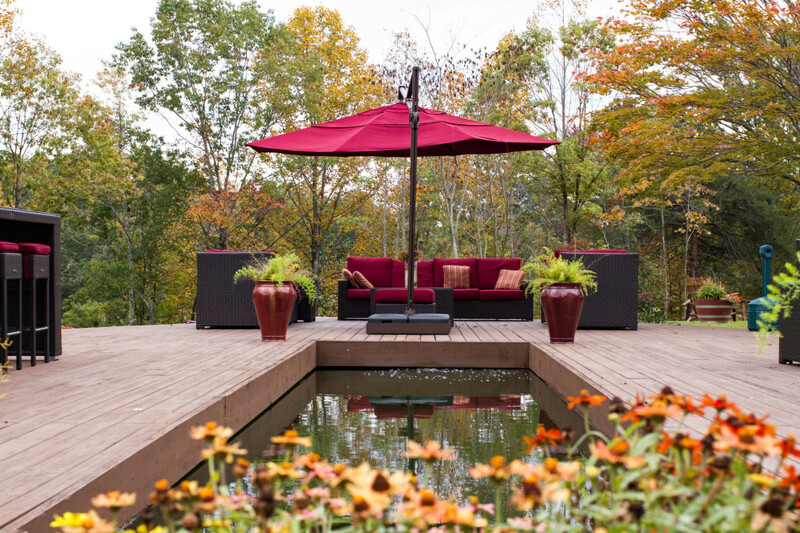 The beautifully appointed outdoor space includes a stone firepit, couches, and Adirondack chairs with perfect sightline to Big Pinnacle. 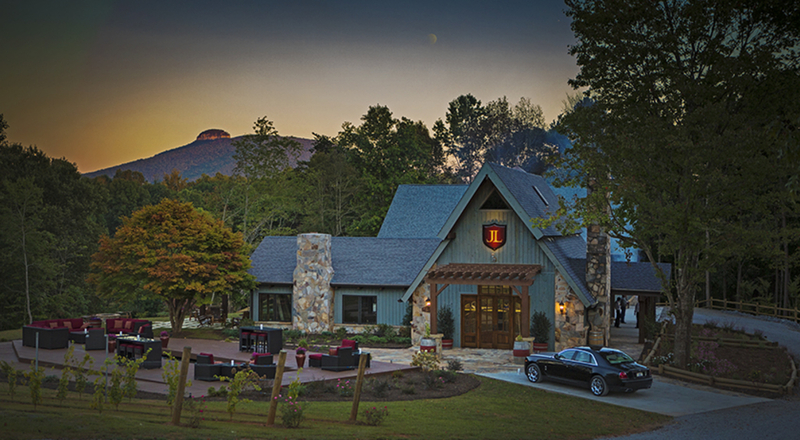 Inside, winery founder JW Ray aimed for rustic elegance when deciding the décor. Deep red leather couches, exposed wood beams, and the white-tablecloth dining area seems to have hit the mark. From the press to the pour, every aspect of making wine at Jolo is done by hand. Their Jolotage red blend has won several gold medals and a silver in Napa. The prized white offering, Golden Hallows, is also a multiple gold medal winner.